The famous City of Light is the setting for the latest Assault map in Overwatch, and players can now find themselves whisked away to Paris on PC, PlayStation 4, and Xbox One. 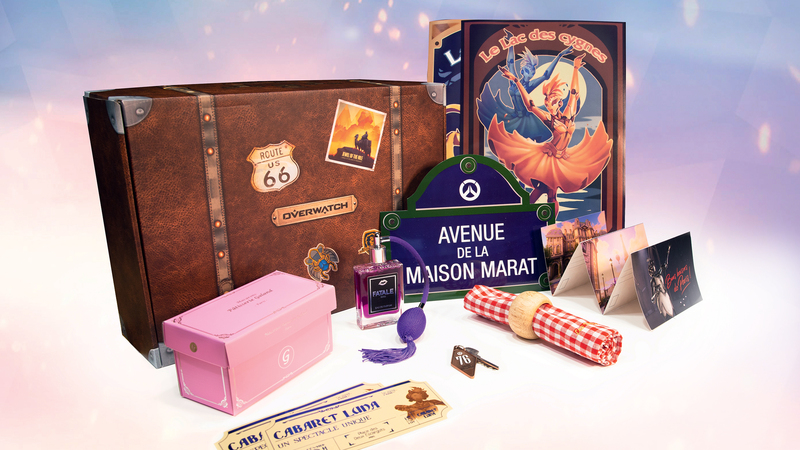 To celebrate the map’s launch with our incredible European community, we’re inviting you to enter our sweepstakes below for the chance to win some Overwatch-themed Parisian souvenirs! To take part in the sweepstakes, submit your name and email address in the entry form below by 23:59 CET on March 13. For additional chances to win, follow the steps in the form to visit our Overwatch Europe Instagram account and view the related post. Please note that in order to win, you have to be a resident of one of the following eligible countries: Austria, Belgium, Bulgaria, Croatia, Czech Republic, Denmark, Estonia, Finland, France, Germany, Greece, Hungary, Iceland, Ireland, Italy, Latvia, Lithuania, Luxembourg, Malta, the Netherlands, Norway, Poland, Portugal, Romania, Slovakia, Slovenia, Spain, Sweden, Switzerland, or the United Kingdom. For full details, be sure to check out the official sweepstakes rules. Bon chance, and we’ll see you in Paris!